We had the best Sunday. We hiked all over our friend, Walter's, land. The kids each found sheds, and as we walked back to the truck, Owen spotted this guy. The Great Horned Owl sat there long enough for all of us to get a really good look, and for me to snap a few photos. Owen was so excited. 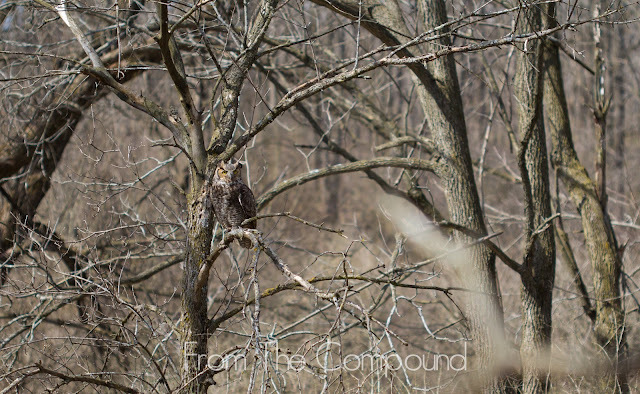 He found the first snake of the season, a big shed, a spring peeper, and then the owl. He kept saying, "Man, this is the best day!" Read about why we love owls.